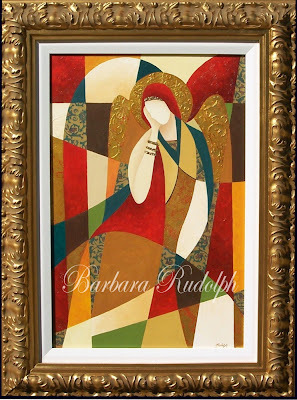 Barbara Rudolph Fine Art: CONTEMPORARY ICON SERIES - "Resting Angel"
Love this series; a little mixture of Klimt and Raphael. Yes, those are two artists that I love. Thank you very much for your comment, I am glad you like them. this is so full of grace ! !